If you’ve been looking for ways to bring yoga into your school, this is the perfect place for you to be! When we come host a training, it’s all about giving your school’s staff all the tools and knowledge they need to use yoga with their students. 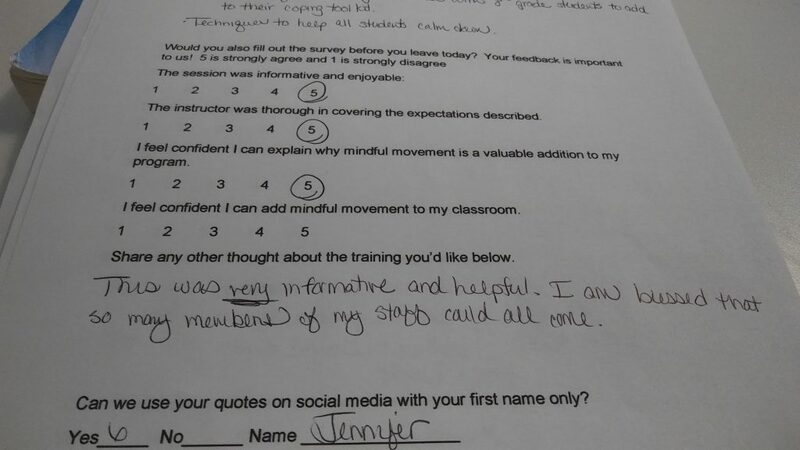 My experience in general ed and SPED classrooms, a masters in Autism, and years leading yoga are all part of what makes our trainings fluid and customized to every student, teacher, and school’s needs. It’s also why we’re so serious about making sure your staff knows how to do this yoga thing so that it’s educational AND fun! 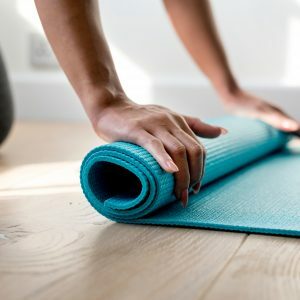 Yoga in schools can create academic, emotional, behavioral, and physical growth for students and it is a great way to build a positive and contagious community culture. And the system Budding Yoga brings in is ready to use…which means schools can do big things with no stress. And isn’t that why everyone loves yoga?! An intake call with administration to discuss what makes your school so special, what needs you want to see cared for, and how your staff ticks. 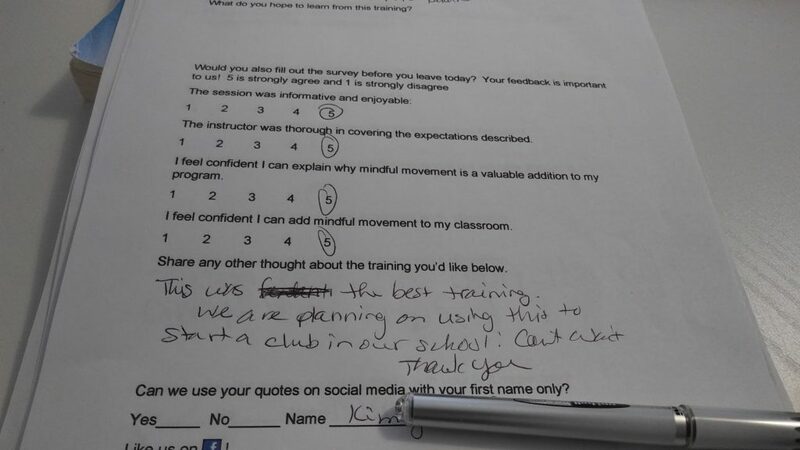 Every training is customized to the staff and program so that it’s just right for your goals. A 3 hour training, with a mix of instruction, demonstrations, tools and worksheets, and get-up-and-move practice. We do it all! A wind down 30 min restorative yoga session just for the adults…because we teach too. We know that quiet time and focus can be life savers! 30 days of unlimited email support for every single one of your teachers. I’ve sat through plenty of teacher trainings. The support and tools to implement are the most important part of seeing results, and we make sure your staff gets that! Plus, she hosts a live online Q&A session at the end of the 30 days to let them share their successes and get a few bonus tips as they get yoga set in their classroom routines. The training starts at $999 and includes spots and materials for up to 10 trainees. Every additional spot up to 30 people is just $65 each. Spots from 31-50 are just $50 each. For groups over 50, we’re excited to create a custom training plan for your school! Shoot us an email at buddingyogacle@gmail.com and we’ll figure out the perfect set up. Email buddingyogacle@gmail.com or book a call with the button below. Book a Call to Brainstorm and Ask More! Remember! 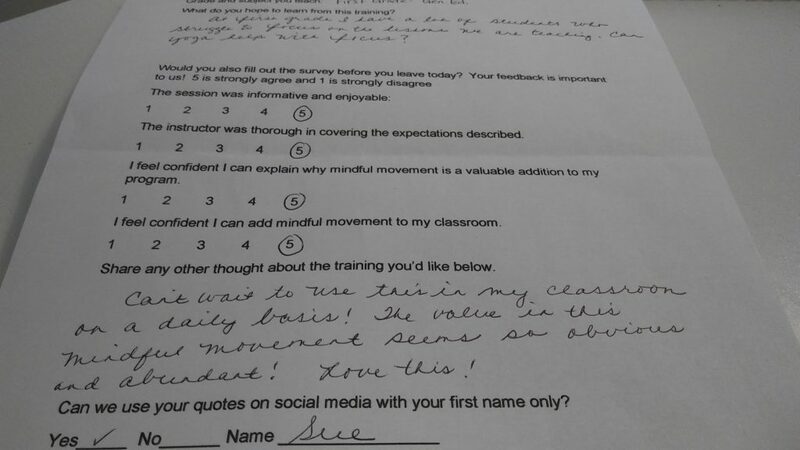 I am able to stay on top of how yoga fits in schools because I live it every single day at my dream teaching position in an amazing school in Cleveland. That means the Budding Yoga info, training, and tools are constantly tested and improved. But it also means that I have a limited number of live training spots available for the school year. Make sure to grab your spot! We also open summer training dates on January first of that calendar year. You can hold your date with a deposit, so let’s talk! Can’t wait! The teachers and staff at each training are why I love what I do! Their questions and feedback help to make the content better and better every day and will never fail to make me smile a little bigger! Can't wait to use this in my classroom on a daily basis! The value in this mindful movement seem so obvious and abundant! Love this! This was very informative and helpful. I am blessed that so many members of my staff could all come. This was the best training. We are planning on using this to start a club in our school! Can't wait. Thank you!